That is the first time I have seen a crab portrayed as a sentient being not being used as food for people. I prefer the living crab. I love watching my hermit crabs (yes, they are some of my rescues too!) trying out new foods. 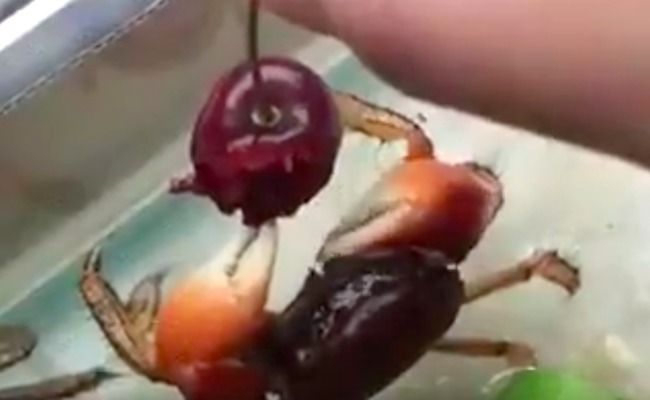 Well who knew crabs like cherries? It is eating it so daintily too, very cute! Oh that crab is absolutely adorable. And I never have ever eaten crab and i definately do not intend to start. Thanks. I never realised crabs ate cherries!